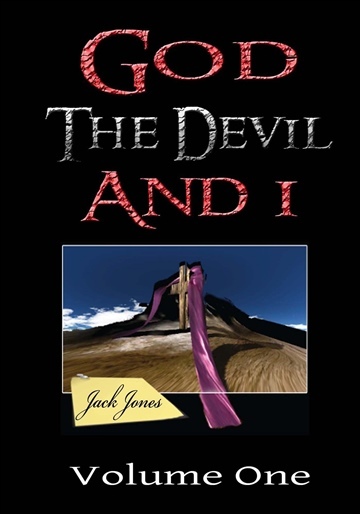 God, The Devil And I is a memoir/biography of Jack Jones. A Christian book at it's heart. God inspired. An epic journey and extraordinarily incomprehensible life alchemy experiences. Born an orphaned runt, mute, and into poverty. Unaided and lacking in support. Left abandoned. An underdog in every social situation. Has been called by God to fight as a warrior, as David did with Goliath. But appointed by the Devil for death and destruction. A journey of long suffering, fortitude and perseverance. Born into a dysfunctional family juxtaposed to a melancholic council housing estate, Sheffield, South Yorkshire, England. Unidentified by family and teachers. Bereft, failing, weak, and vulnerable. A test of survival. Coping and enduring battles, conflicts, detractors and antagonists. Missing a sole defender, saviour or white knight. A book of faith and hope. Topics addressed include, child development, abuse, neglect, mental health, spirituality and psychology. The effects of trauma, unmet human needs, roles and responsibilities within the family environment. The responsibility of the establishment, government, Mental Health services, Church, Christians and society as a whole. To love the unloved. A philanthropic endeavour to heal the world, institute peace, forgiveness and tolerance. A true story. Excerpt from book: Chapter "The Room". It’s been five long loathsome years; nearly six. Marvelling at the fractal clouds; as I lay on my bed, hoping for an enigma, a reason why, meaning and purpose. Synonymous with the eponymous Robinson Crusoe; as the ocean ebbs and flows and as an old grandfather clock’s pendulum swings to and fro; time eludes me. Pondering, pontificating, perplexed and paranoid. Etching and sketching the tally chart of time. We who tally time by marks in sand or on a wall are proof ourselves that without mark or hope we are but a seamless sentence. Jack Jones: A formidable individual. A survivor and overcomer of life's greatest challenges. A good man. Author of the GDI series of books, founder of the "Better Man Today" project, mental health advocate and philanthropist. Based in Sheffield, South Yorkshire, England.